I love bite-sized food because it brings back such awesome memories of girl’s nights with my friends! My own girls love them because they’re just fun. 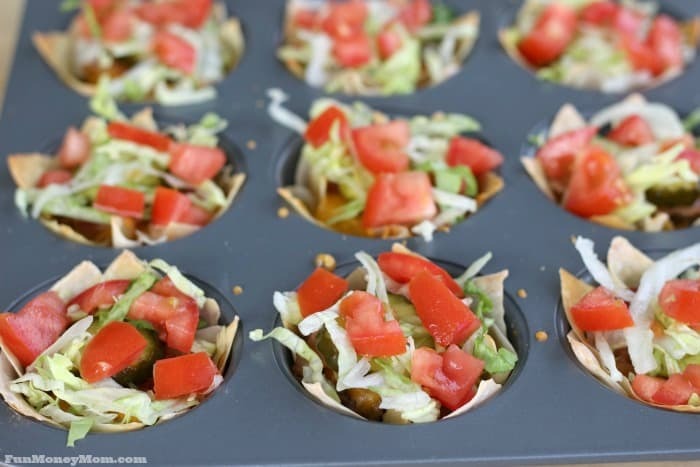 Instead of making the same old thing for dinner, why not take a traditional meal and make it mini. 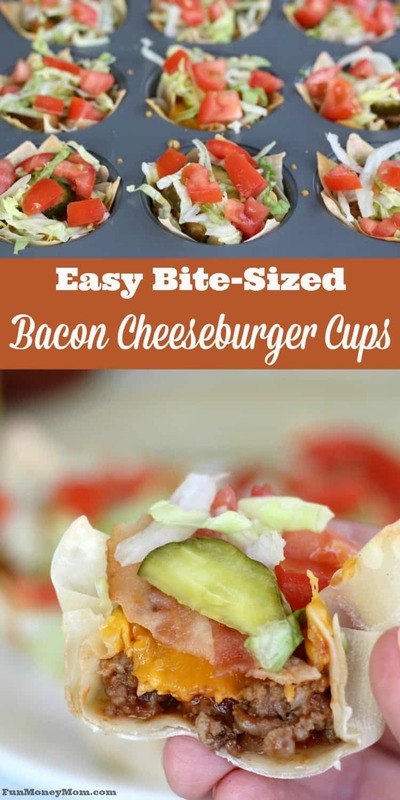 I did it with these easy bacon cheeseburger cups and they were a big hit! Hi guys! I’m Lisa from Fun Money Mom and I’m excited to be sharing one of my favorite new dinner recipes today. 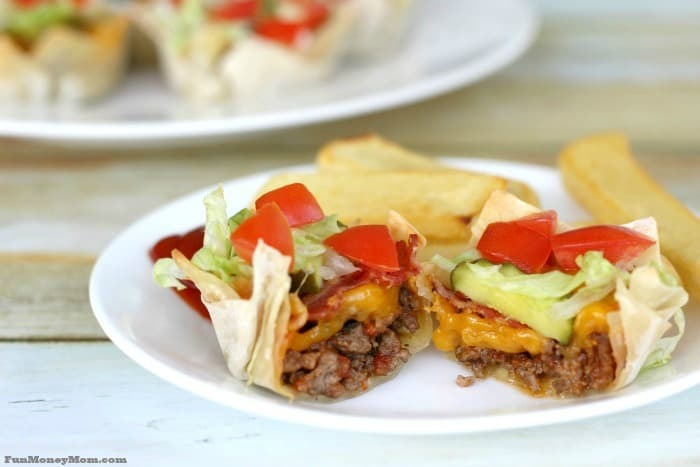 It’s not completely new but it’s a twist on the traditional bacon cheeseburger and if my family loves it, I think yours will too! What is it about bite sized food that makes it so much fun? When I lived in Atlanta, my girlfriends and I would regularly get together for tapas, which are basically just small plates of food. Instead of a traditional meal, we’d share a variety of plates, including our all time favorite fried goat cheese. It was always so much more fun because we were able to sample a little bit of everything. My kids love bite sized foods too so I’m always trying to come up with something fun and different for dinner. Recently I was planning to make cheeseburgers when I came across some wonton wrappers in my fridge. Inspiration hit and my regular cheeseburgers became bacon cheeseburger cups. What I love about these is that they not only are they cute and fun to eat, they’re actually pretty easy to make. Start by browning the ground beef. 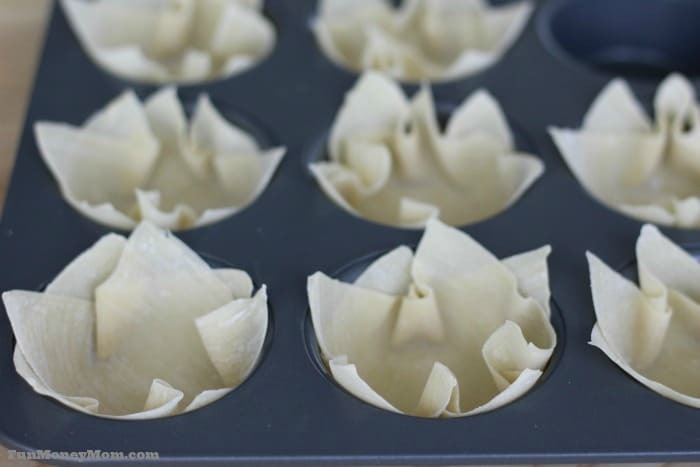 While the beef is cooking, place wonton wrappers in muffin tins. I used two wrappers in each. 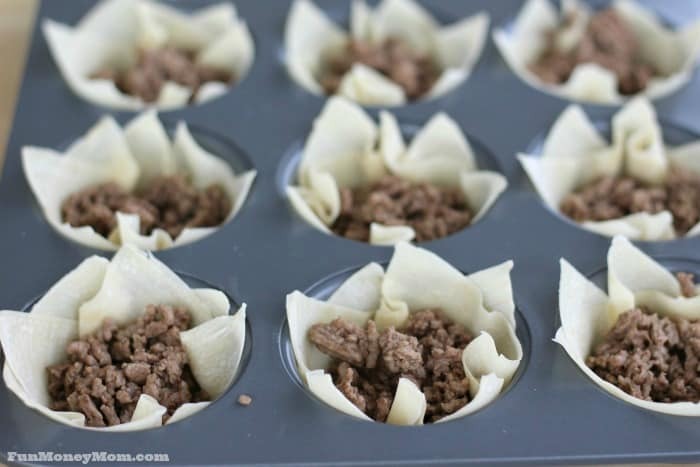 Fill wontons with ground beef. Add some ketchup for taste. My littlest can never get enough ketchup! Sprinkle shredded cheddar over the top. 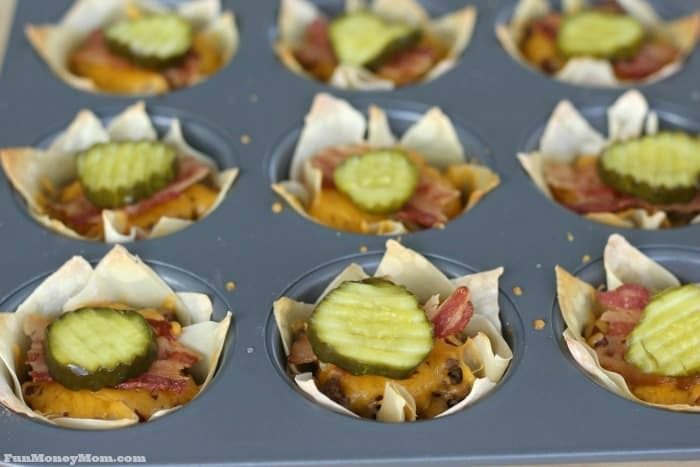 Bake for 10 minutes, then add bacon and a pickle. Finally, top with lettuce and tomatoes. 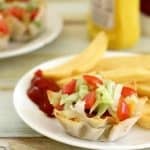 These bacon cheeseburger cups are perfect with fries and our favorite salad. They’re a little more than bite sized and one or two is plenty for my girls. In fact, my girls loved these so much that they started giving me all kinds of advice as to what could go in the cups next time (though I’m going to have to veto the idea of chocolate cups for dinner)! 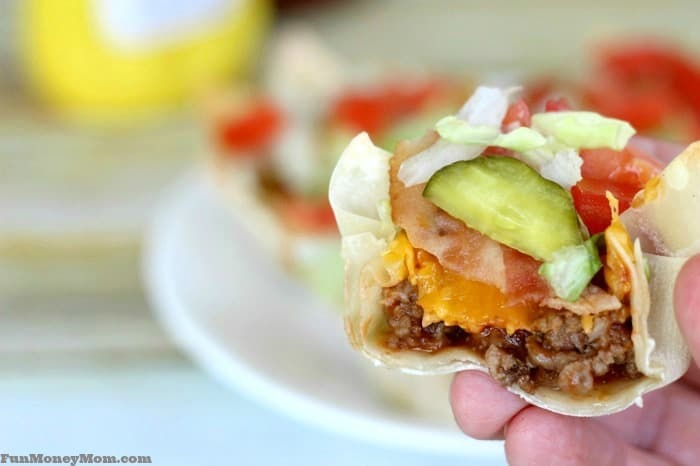 Aren’t these so much more fun than just a regular cheeseburger? We sure thought so! 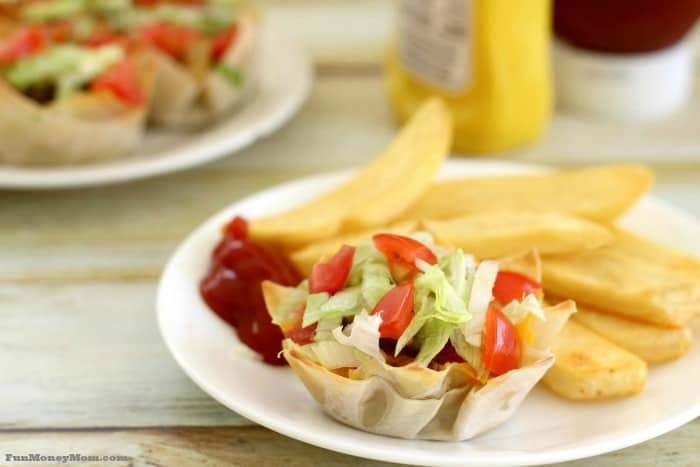 The possibilities are endless for what you can do with these wonton wrappers and I’m already planning my next fun-sized meal. Now I just have to figure out which of these yummy desserts I’m going to make! Cook ground beef thoroughly. 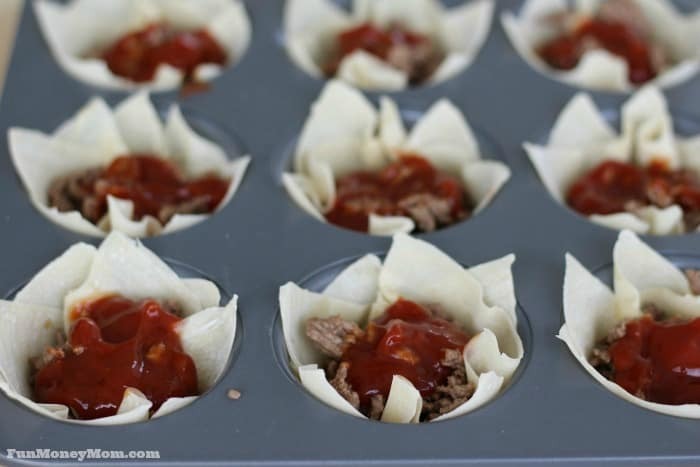 While beef is cooking, put wonton wrappers in 10 muffin tins (2 per tin). 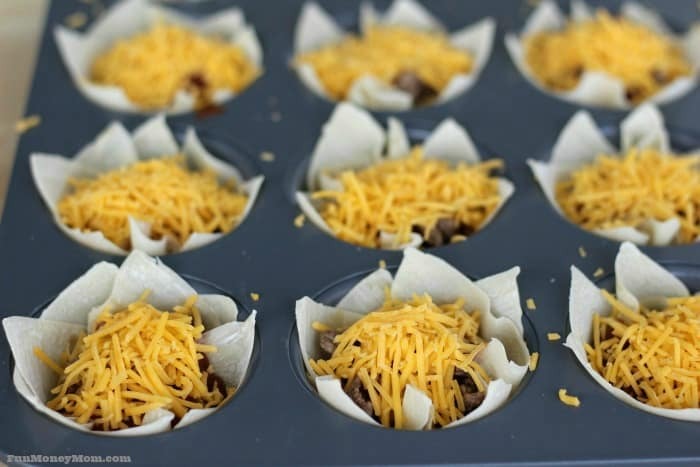 Drain beef and add to muffin tins. Top each with 1/2 tbsp. ketchup. Add 1 tbsp cheese to each. Bake at 350° for 10-12 minutes, or until wonton wrappers turn a golden color. Microwave pre-cooked bacon or cook 4 slices regular bacon and divide into 10 pieces (you may have a little left over...it makes a nice snack). When wontons have finished baking, top with bacon, pickle, lettuce and tomato. Serve hot and enjoy! Healthy and Tasty dish amazing. I love this and want to thank you for sharing this blog.